Thus begins a chapter I ended up cutting from Jumping Over Shadows. To celebrate that the book now has 100 reviews on Amazon, I am sharing this chapter as a little gift to my readers. Why did I cut it? An editor had advised me that the manuscript was too heavy with history, so when I worked on the rewrite, I looked for historical passages that could be dropped. This chapter was one of them, my regular bonus chapter about the Gestapo interrogating my grandparents, was another (you’ll receive it as an extra goodie when you sign up for my newsletter). Both did not advance the central story line. Rather, they rounded out the picture of the times my grandparents lived in once the Nazis took over their hometown. Thus, the book could do without them. Both are atmospheric, as they should be, and so it hurt to cut them. But, as we writers are advised, quite often we must cut our darlings. 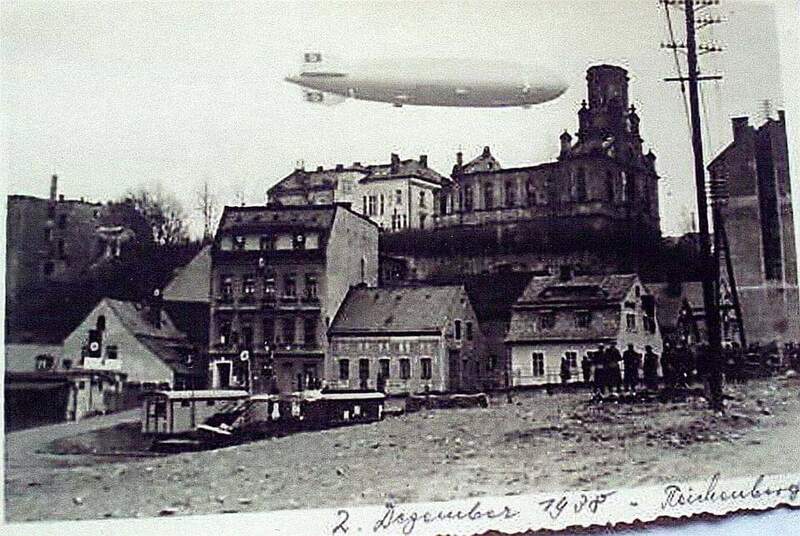 Die “Graf Zeppelin ” schwebt über Reichenberg, zahlreiche Zuschauer, Fahnenschmuck. On another note, I accidentally found the two pictures I am including here on Facebook when I searched for images of Reichenberg in 1938. I had not found them when I wrote the chapter! 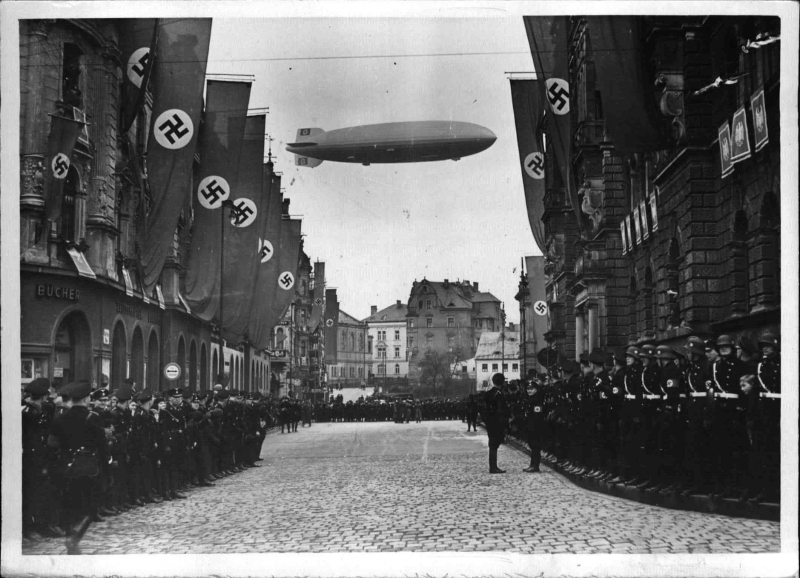 So it was chilling to find actual images of exactly what I had described in the chapter of Hitler visiting Reichenberg. On the other hand, it was reassuring to find my account mirrored in photographs taken at the time. My description was based on newspaper accounts from 1938 that I found in the public library in Liberec (formerly Reichenberg) while doing research to fill in the blanks of my Jewish family history. Do let me know what you think of this chapter on Hitler’s Visit! And if, perhaps, I should have left it in the book? I do like the passage.